Download the new Glance MC App, use your Digital Jasper Card, win prizes. Starting on Monday 9/12, students who download and install the new Glance MC app from the App Store and use the Jasper Pay feature of the new Digital Jasper Card will be entered for a chance to win one of (4) $25 Dining Dollars credits. 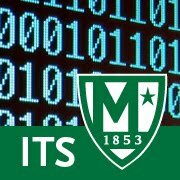 Each day we will announce where and when to use Jasper Pay via Campus Announcements found on https://inside.manhattan.edu or the Glance MC app. Be sure to check in each morning Monday - Thursday starting on 9/12. The time and location will be revealed starting at 6AM. iOS users can download the app by searching "Glance MC" in the Apple App Store. After installing the app, be sure to activate your Digital Jasper Card.